Horizontal- Aluminum holds up to six pairs of skis or four snowboards- mounts to T-slot-compatible rack. Univeral Flat Top fully-locki-ng ski and snowboard carrier. Carries up to six pairs of skis or four snowboards. Thule 91725 Universal Flat TopM fully locking ski and snowboard carrier. Carries up to 6 pairs of skis or 4 snowboards. Thule 91725 Universal Flat Top fully-locking ski and snowboard carrier. Carries up to six pairs of skis or four snowboards. Univeral Flat Top fully-locking ski and snowboard carrier. Carries up to six pairs of skis or four snowboards- secures to utility or roof rack cross bars. Ski and snowboard carrier. Universal Flat Top fully-locking. 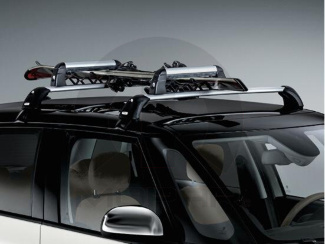 Carries up to six pairs of skis or four snowboards, secures to utility or roof rack cross bars. Aluminum bars hold six pairs of skis or four snowboards and mounts to T-slot roof rack Mopar adapter kit (82210899) is required to mount to production cross bars in some applications. Holds up to 6 pairs of skis or 4 snowboards. Secures to utility or roof rack cross bars. Fits shaped, traditional, and blade-style skis and most snowboards. Includes Thule One-Key System with two lock cylinders. Features oversized push button for easy opening while wearing gloves. The large Ski and Snowboard Carrier holds up to six pairs of skis or four snowboards- or a combination of both. The small Ski and Snowboard Carrier holds up to three pairs of skis or two snowboards. Both carriers feature silver anodized aluminum construction- integrated locks and opens from either side for easy loading and unloading. Mopar- in partnership with Thule- the leading US manufacturer of car rack systems- offers the 91725 Universal Flat Top Snowsport Carrier. 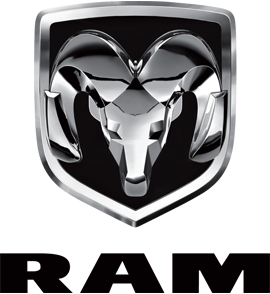 Great looking and installs quickly and easily on Mopar- production and Thule cross bars. Oversized push button for easy carrier opening while wearing gloves. Fits shaped- traditional- and blade-style skis and most snowboards. Includes Thule One-Key System with two lock cylinders. This is a Mopar-approved Specialty Accessory.